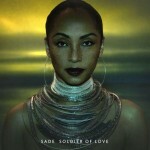 Sade’s highly anticipated comeback cd, “Soldier of Love” drops February 8th. Click HERE for the download. Shouts out to SinnamonS for the link!